43909668 - oil and gas platform or construction platform in the gulf or the sea, production process for oil and gas industry. Straightpoint will exhibit at SPE Offshore Europe 2017, which takes place at the Aberdeen Exhibition & Conference Centre in Scotland on 5-8 September. This is the first time the force measurement, load monitoring and suspended weighing load cell equipment manufacturer will take exhibition space at the biennial show, having launched a full range of ATEX and IECEx products since the last time the event was held at the same venue almost exactly two years earlier. It is also the first time organisers have created a decommissioning zone that will feature a themed exhibition and conference space. Straightpoint’s range of explosion proof products, which conform to the 2014/34/EU directive, includes the Radiolink plus; wireless compression cells; shackle cells; load pins; and the Running Line Dynamometer (or TIMH), all of which meet Zone 0, 1 and 2 hazardous area classification. Additionally, Mullard said, Straightpoint will show its latest innovation, the Clamp On Line Tensionmeter (or COLT), for measuring tension on static lines, boasting a state-of-the-art Bluetooth load monitoring app among a host of standout features. The COLT measures tension on wire rope up to 11,000 lbf (lb. force) / 5,000 kgf (kg force) and up to 1 in. / 25mm diameter. It clamps onto pre-tensioned wire ropes, eliminating the need for additional sheaves or tooling. Offshore Europe will offer more than 65 technical papers—Royal Dutch Shell CEO Ben van Beurden is among leading speakers—and 11 keynote panel sessions, combined with business breakfasts and topical lunches. Mullard said the quality of content will draw a relevant, engaged audience, willing to learn about the industry’s latest solutions. The centrepiece of Straightpoint’s 3m x 3m, product centric stand will be a new truss system first seen at the LiftEx trade show last November, upon which a series of products will be available for visitors to interact with. 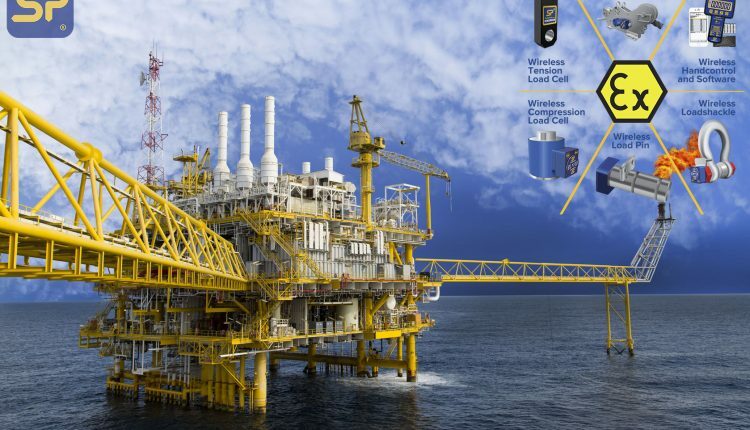 Additional features include demonstrations of equipment, including its multiple wireless load cell controller software package, and corporate videos.